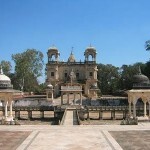 Shivpuri is steeped in the royal legacy of its past, when it was the summer capital of the Scindia rulers of Gwalior. And earlier, its dense forests were the hunting grounds of the Mughal emperors when emperor Akbar captured great herds of elephants. Much later, it was the Tiger that roamed the wooded hills and many a magnificent beast was ‘bagged’ by royal Shikaris. Today Shivpuri is a sanctuary or rare wildlife and avifauna. Its royal past has thus been transformed into a vibrant, hopeful present. Air: Nearest airport is Gwalior. Rail: Shivpuri is the railhead and is connected with the different parts of the country. 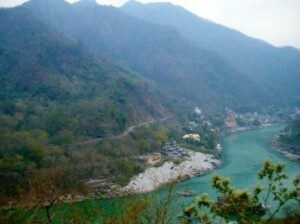 Road: Shivpuri is well connected to the different parts of the country through NH No. 6 and State Highway No. 3 & 25. Madhav national Park: 156 sq. km in area, the park is open throughout the year. 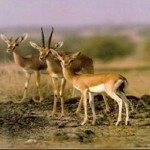 This park offers abundant opportunities of sighting a variety of wildlife; the predominant species that inhabits the park is the deer, of which the most easily sighted are the graceful little Chinkara, the Indian gazelle, and the Chital. Other species that have their habitat in the park are Nilgai, Sambar, Chausingha or four-horned Antelope, Blackbuck, Sloth Bear, Leopard and the ubiquitous common Languor. 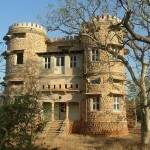 Gorge Castle: Deep within the forests of the park, on its highest point, is the turreted George Castle built by Jiyaji Rao Scindia. From here the view of the lake is unparalleled and the best time to visit the castle is at sunset when the lakes below mirror the changing hues of the evening sky. 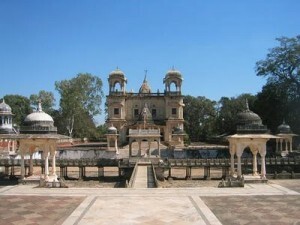 Chhatris: Set in a formal Mughal garden, with quit nooks under flowering trees, intersected by pathways with ornamental balustrades and illuminated by Victorian lamps, is the complex in which the cenotaphs of the Scindias are set. Facing each other across a water tank are the Chhatris of Madho Rao Scindia and the dowager queen Maharani Sakhya Raje Scindia, synthesizing the architectural idioms of Hindu and Islamic styles with their shikhara-type spires and Rajput and Mughal pavilions. Madhav Vilas Palace: Standing upon a natural eminence, the elongated rose pink summer palace of the Scindias is a fine example of colonial architecture. The ‘Mahal’ as it is called, is remarkable for its marble floors, iron columns, graceful terraces and the Ganpati mandap. Sakhya Sagar Boat Club: Edging the forests of the Madhav National Park is the Sakhya Sagar Lake, habitat of variety of reptiles. Seen here are the Marsh Crocodile or Mugger, Indian Python and the Monitor Lizard. On the shores of the lake and connected to it by a broad pier is a Boat Club, an airy, delicate structure with glass panels. Bhadaiya Kund: A scenic spot by a natural spring. The water here is rich in minerals, supposedly of a curative nature. 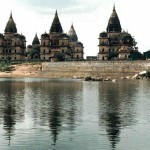 This entry was posted in Madhya Pradesh, Shivpuri and tagged Bhadaiya Kund, Chhatris, Gorge Castle, Madhav national Park, Madhav Vilas Palace, Sakhya Sagar Boat Club, shivpuri city, shivpuri district, shivpuri india, shivpuri tourism. Bookmark the permalink.